With an impressive 600A peak cranking, along with 66W Hours of power to keep devices charged. The Thunder jump start power pack also incorporates a notable 1W LED torch in one compact pack! At a mere 615g, the Thunder TDR02011 Jump Starter is a compact light weight powerful power supply. 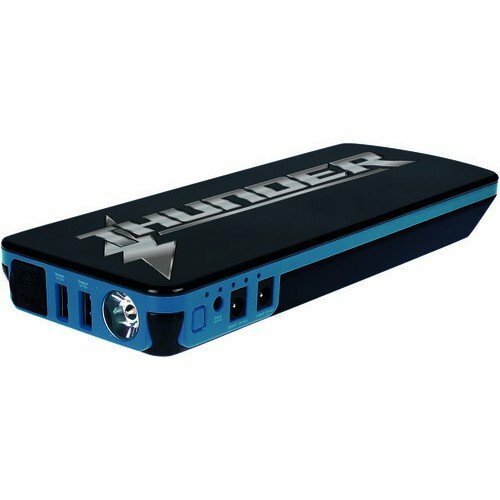 The Thunder Lithium Jumpstarter will jump start cars, trucks, boats, motorcycles, ATVs, personal water crafts, tractors and more. Producing 600 cold crank amps, its three 3.7A/4.2V lithium cells has a capacity of 18,000 mAh. 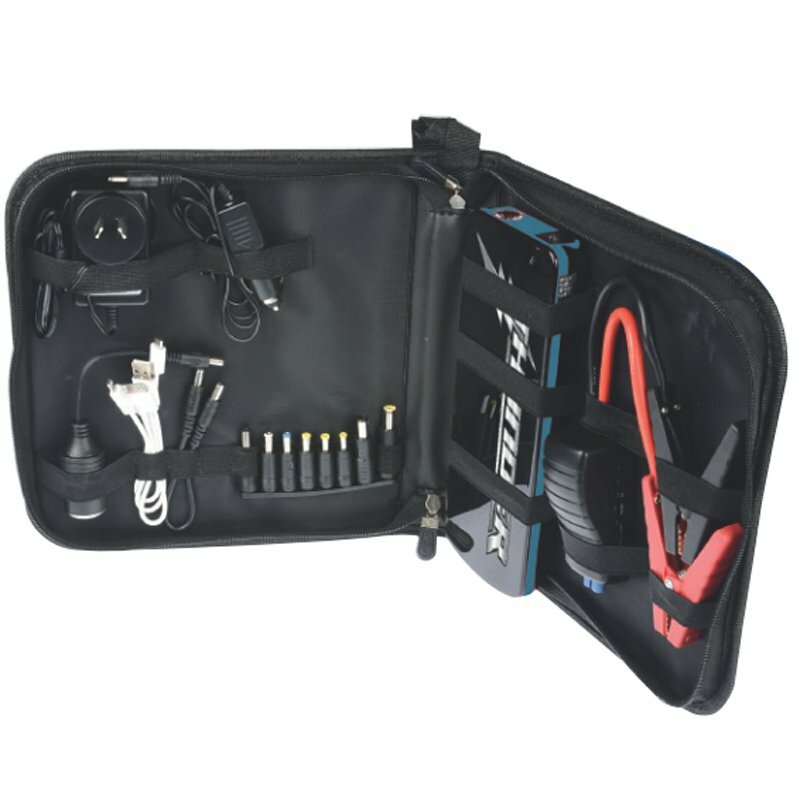 Easy to use and recharge, the Thunder Jump Starter can be charged from either 12 or 240 volt systems, such as the car or at home prior to use, making it the perfect companion for travellers, campers and adventurers. When fully charged the Thunder Jump Start kit can store upwards of 600 cranking amps. From a full charged state the Thunder can jump start a small 4 cylinder car up to 40 times & can even start gas engines over 6.4L or diesel up to 4.8L repeatedly before depleted. The Long-lasting 12V lithium-ion battery only loses 2% charge per month when stored – offering up to 1000 full charging cycles. 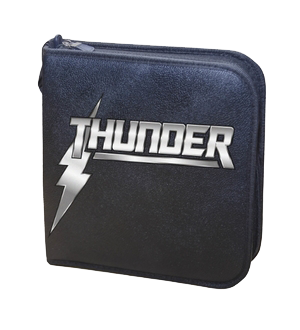 Charges phones, tablets, speakers and other portable USB devices, and fits in your pocket or glove box. LED flashlight with strobe and SOS emergency light functions. Carry case with all accessories packed neatly away Zip up Carry Case. Compact, light weight design. Free shipping – Free shipping relates to single units only to all Australian destinations. If multiple units are required shipping charges may apply. We will contact you if/when freight charges apply. Please provide your phone number on the order form so we can contact you. Alternatively please contact us with all freight enquires. Store pick-up is available.